Becoming one of the most common forms of domestic and commercial physical security in the UK. This increase is due to a number of unfortunate criminal and vandalism reasons. 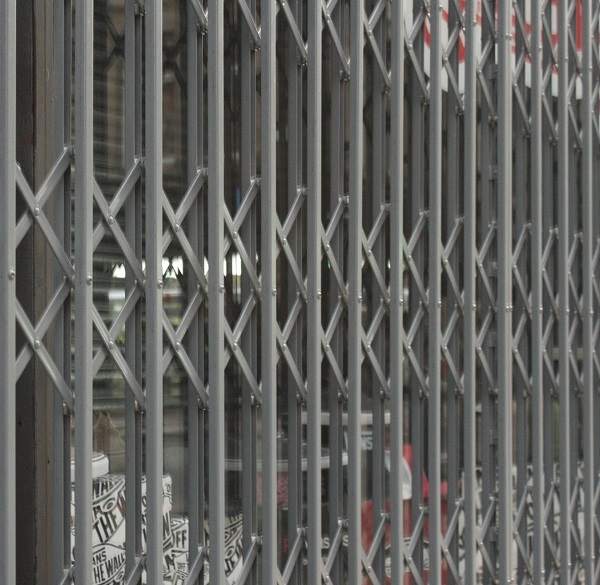 The high levels of security offered by quality steel security grilles do not lose any aesthetic appeal, with an unobtrusive and stylish design both open and closed. A physical deterrent is always beter than a burglar alarm which only sounds and alerts once a forced entry has already been made. 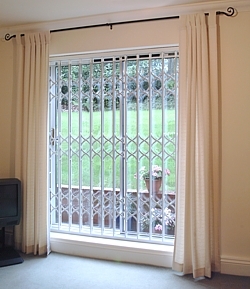 Despite the various other ways of being able to protect your windows, internal retractable security grilles are emerging as the popular choice alongside window and door security shutters or removable window bars. Window and Door Security Roller Shutters are one of the safest security product for windows, however their quality fluctuates when working with a low budget. An inconveniance with shutters is the fact they come with a shutterbox that must be displayed on either the interior or exterior of the building which can be troublesome to match to the aesthetic of a building. With very little transparancy, even with window sections or punched/perforated slats, a room would be left in darkness when closed. You can usually open a window with a Security Grille while they are still closed for functional security. Security Grilles are easy to operate, maintain and require little cleaning or ongoing maintenance. 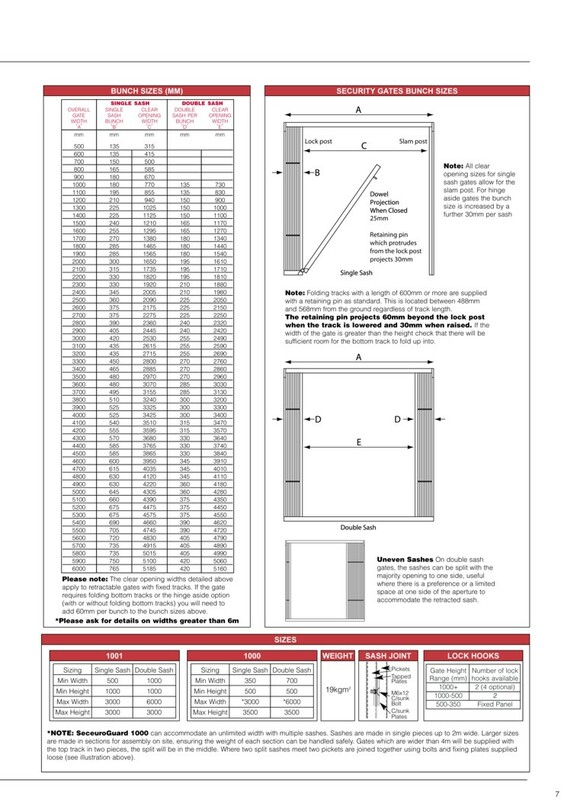 Window Bars are installed into a permanently fixed top and bottom rail system and require a key to unlock before individually removing each and every single bar - a highly laborious and arduous task when dealing with large windows! With an Internal Security Window Grille and the smooth retractable operating system there is no need to install a large shutterbox to hide the frame when closed nor do they take long to close either. 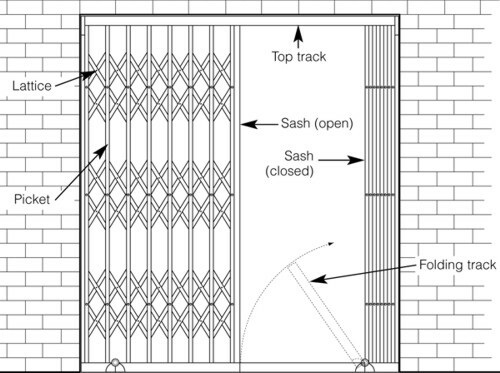 Security Grilles from Samson Doors can be manually retracted within seconds and tucked away discreetly, even using a hinge aside system with a folding lift up bottom track to give the best possible access when not in use. A Security Grille Is A No Hassle Solution To Window Security! Security Grilles for Windows require a simple installation. 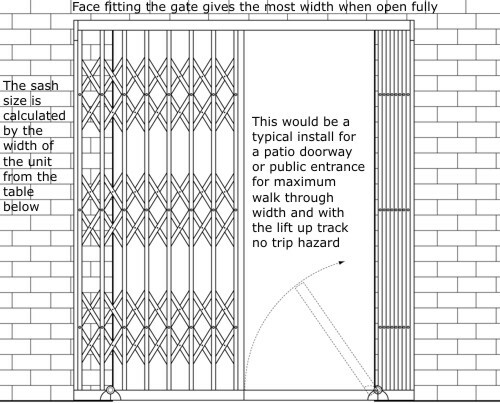 Installing a security grille can take as little as 45 minutes to fully install to compliant standards. When installing a security grille, they can be installed to either the face of the wall or inbetween the structural opening. When closed, the grille sashes retract to the side where they are neatly bunched and remain almost totally out of view, especially if curtains are fitted as they can retract behind these. 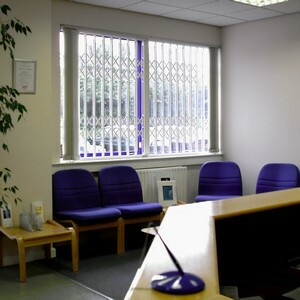 The Security Grilles supplied by Samson Doors are constructed using strong galvanised steel which is then powder coated to give an attractive colour finish. Not only does this offer fantastic security but it is also attractive unlike many other domestic security products on the market. These are a product built to last and enhance your property. You have the choice of either an S or X lattice design with every Seceuroguard grille. We supply the SeceuroGuard 1000 and SeceuroGuard 1001 'secured by design' security grille models. 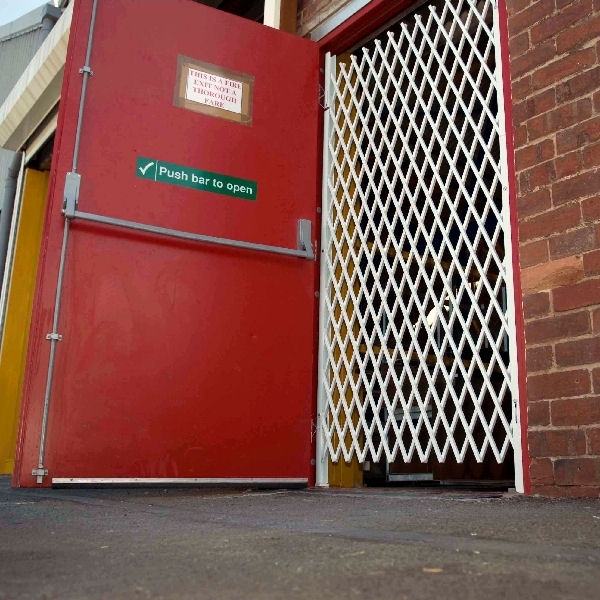 Our Security Grilles are recognised for their stability, strength and security. Even more so with the SeceuroGuard 1001 - a product tested and approved by the independent body responsible for recommending products for their real security properties. The Security Grilles supplied by Samson Doors are of the very highest quality and all made to order for an exact fit every time. The lift up hinged bottom track is generally for doorways only and only when there is a level floor already and the tracking would cause a trip hazard. 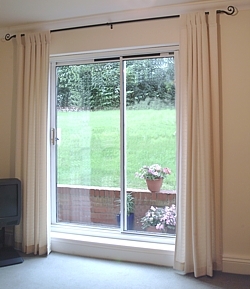 The lift up hinged folding track shown is optional in all cases and only really used on doorways where there is constant traffic and there is a level floor present before the installation of the grille. Obviously this is to avoid any trip hazard.